Several years back we interviewed Bill “The Book” Richardson, or “Book” as he is often called, as part of an introductory interview. This interview has since become a very popular draw for this site and has been viewed by many fanciers from all corners of the world. Initially, we had intended to do several follow up interviews with Book but, at the time, he was quite busy preparing for his second grading trip to Europe. Consequently, it wasn’t until just recently that we again made contact with Book to ask if he was interested in doing another interview. Book’s articles have been regularly published in the Australian Racing Pigeon Journal since 2003, and he remains one of their most popular international authors in our sport. At the time of this interview, Book is working with the ARPJ to develop an international audience through the use of the ARPJ international website. In fact, we are pleased to mention that the ARPJ has asked to link to Book’s first interviews on the Mid Island Racing Pigeon Society website. This is a mutually beneficial arrangement because it increases our site traffic while providing the ARPJ with an excellent introductory interview about the Book. Book’s resume in the sport has grown considerably since our last interview, and in an effort to keep this interview concise and with the permission of the ARPJ, we have borrowed and modified the ARPJ’s version of Book’s updated resume. With over 125 articles to his credit, Book has become one of the most prolific authors of our sport over the past decade. His articles have been featured on a number of internet sites around the globe, and a number of these articles have been translated into Dutch, Danish, and Chinese and have been printed in the Australian Racing Pigeon Journal, Winning Magazine, the Racing Pigeon Digest, and occasionally on the Danish site Dansk Brevduesport. Book is also renowned for his in-depth seminars on racing pigeon, which have been presented in the European cities of Vejle, Ringkorbing, Copenhagen, Ringsted, Aalborg, and Esbjerg, Denmark; Etten-Leur, and Putten, Holland; and Aalst, Belgium. Since 1987, Book has given seminars in his own country at the San Diego Clubhouse, San Diego, California; the Desert Classic, Phoenix, Arizona; twice at the FVC Snowbird race in Los Angeles, California; the IF Convention in Long Island, New York; the Gopher State Auction in Minnesota, the Slidell Racing Pigeon Club in Slidell, Louisiana, and the California State Convention in Stockton, California. Over the last several years, Book has become one of the more popular guests on PigeonRadio.com, which has a significant world-wide audience. Book also maintains a personal website on his latest pigeon activities and articles at www.horemans.com. 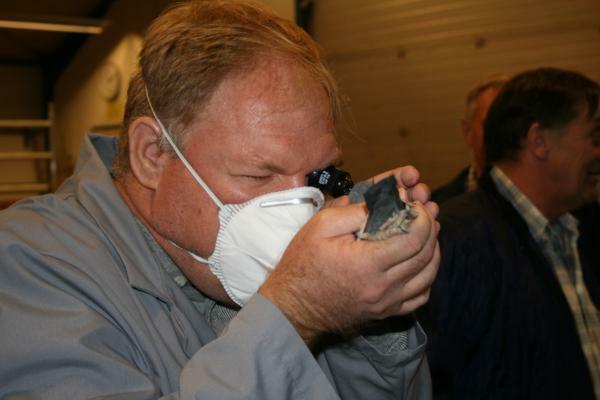 Book is a world-renowned grader and, over the last 15 years, he has professionally graded many thousands of pigeons for a variety of clubs and individuals throughout the United States and Europe, including his grading of pigeons at many of the aforementioned seminar sites. With amazing accuracy, Book has been known to grade as many as 600 pigeons in a sitting, and he has never been afraid to make the unusual prediction. More recently, it has come to light that Book also possesses a unique ability to grade and select pigeons through the use of photographs of their eyes or even of the pigeons themselves. Several top fanciers now regularly send photographs of their pigeons to Book for his opinions. Book has been known to help certain fanciers in various parts of the United States, Denmark, Taiwan, and Australia. Book has himself won All American, President’s Cup and AU Hall of Fame awards, and through his students, Book may be the only fancier to have extensive experience racing under every possible condition and in every possible terrain, including ocean racing. Recently, Book has turned his attention to the challenges of the Sun City race in South Africa where he hopes to make some impact in the coming years. Book is known for his forthright approach and his love of new challenges. Because the questions in these interviews take a great deal of time for the interviewee to answer, we would like to thank Book for his patience in helping make this interview possible. Since Book has interviewed with us before, there may be a little overlap between the two interviews. Although Book has a general philosophy on pigeons, his opinions in certain areas do change with the advent of new information. Therefore, where conflicting overlaps between the two interviews may exist, opinions expressed here should supersede those from previous interviews. 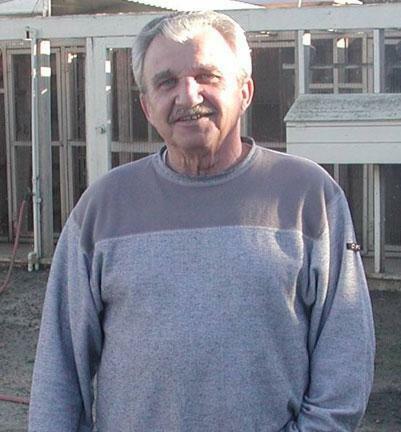 Now, let’s once again interview Bill “The Book” Richardson and get his thoughts on the breeding of racing pigeons. First, are there any opening thoughts you might like to share with us? Let me start off with an apology to Ali for taking so long to get back to doing this second interview. Ali originally had asked me to do a second interview very close to the time of my second trip to Europe, and almost as fast as we agreed to do it, things got a little crazy on my end. With the news of my return to Europe, my emails doubled overnight and suddenly there was a great deal of planning to do. Between answering emails, writing articles, presenting other seminars and grading sessions, working with students, and attempting to take care of my own pigeons, I have been a bit overwhelmed. Fortunately, things have started getting back to normal over the last several months, so I am now trying to catch up on some of my previous commitments. Could you please give us a brief history of those fanciers that have helped you with your selection ideas along the way? History can be funny sometimes. It comes together from so many directions that it can be difficult to remember the exact order in which it occurred...especially as you get older! Certainly fanciers like Harvey Gatlin, Don Falkenborg and Chris Nagy played a very big part in my early development as a fancier. Harvey was a great racing fancier in the ’40s and ’50s and a great show fancier from the ’50s to the ’70s. He had an amazing eye for judging pigeons from a distance and, as a result, he rarely handled the pigeons when grading them. I actually use a more technical version of his methods when I am grading pigeons through the use of photographs. Don Falkenborg helped me in so many ways including imparting a great deal of knowledge from the late great Piet de Weerd. Had it not been for this information, it would have taken me much longer to get to wherever it is that I am today. Chris Nagy was an excellent fancier who moved to the United States from Hungary. He brought many early European methods with him and, in many ways, he was well ahead of the American sport at that time. Chris was very knowledgeable on feeding and he taught me the importance of the different grains including barley, which was something that wasn’t used much at that time. He also had a very good knowledge of inbreeding, and it was through him I gained my first glimpse of the subject. Individually, others have played smaller but important roles. Names that come to mind are Art Cook, Brad La Verne, Mauricio Jemal, Herold Durkin, Tony Melucci, Paul Tansy, and Alan Lorenzen, to name a few. Each of them has knowingly or unknowingly contributed to my view of the puzzle of pigeon racing. With the exception of Herold Durkin, I have had the opportunity to watch each of these fanciers grade my pigeons. Some might not consider this to be much of a distinction, but think about it this way. If you read a book from the library, when you are finished you have to return it. However, when you buy a book, it is available for reference over the longer term. When a good fancier grades your pigeons, he is giving you his reference for a much longer term. You know what he liked and didn’t like, and this gives you something to compare and contrast for years to come. I met the great American fancier, Ed Lorenz in 1988; however, we really didn’t hit it off until after my second FVC Snowbird seminar in 2001. Since then, we have become quite close friends and we usually talk on a daily basis. It would be hard to talk as much as we do and not learn something from each other. Ed has a very common sense approach to everything, and I hold his views on the sport in very high regard. If I was going to use one word to describe Ed, it would be “efficient”. Sadly, in thinking back about these names, Harvey Gatlin, Don Falkenborg, Chris Nagy, Art Cook, Brad LaVerne, Herold Durkin, and Paul Tansy have all passed away now.